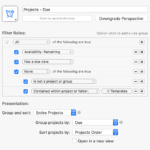 ,Custom perspectives provide you with a quick and convenient way to tap into your OmniFocus database. 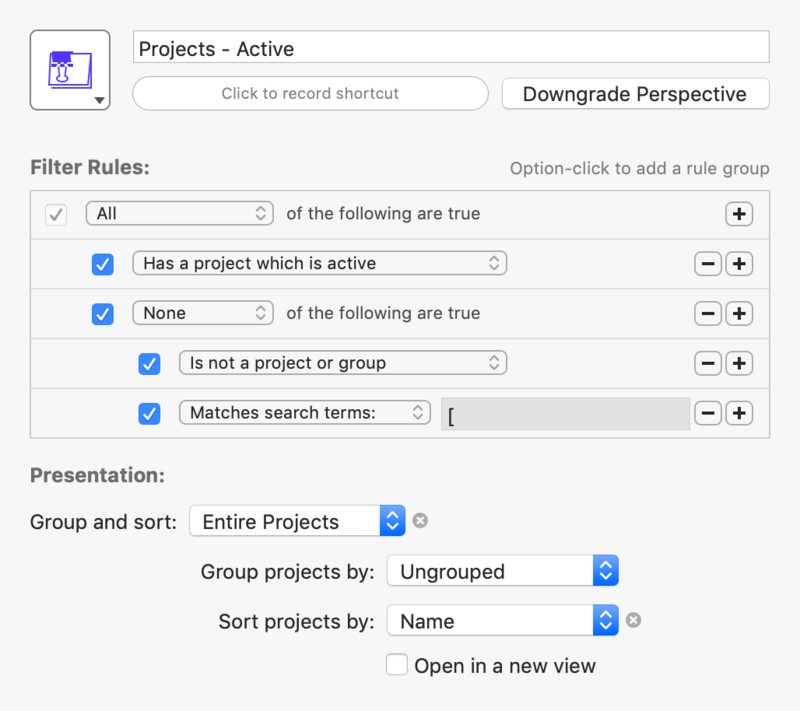 Below you’ll find examples showing some of the many ways that custom perspectives can be used to quickly and conveniently access the most relevant information from OmniFocus and help ensure that your database is up to date and relevant. Note that all of these perspectives require OmniFocus 3 (Pro). Some reference specific tags and folders or rely on naming conventions. 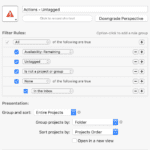 You may need to make some changes to adapt them to work with your OmniFocus setup. 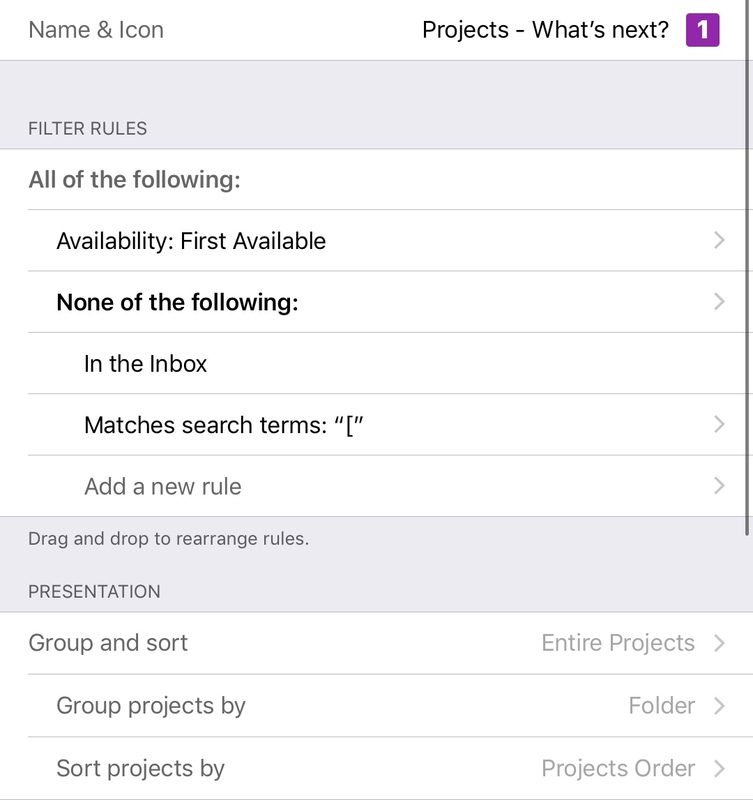 To see custom perspectives in action, check out Tapping Into the Power of OmniFocus 3 for iOS, Tapping Into the Power of OmniFocus 3 for Mac, and Navigating Your Day with OmniFocus 3. 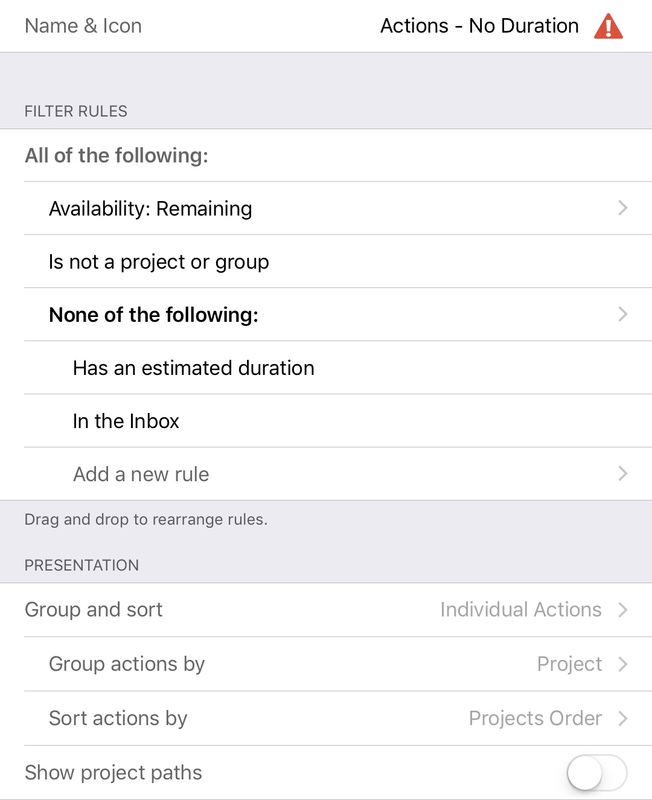 This video content is available exclusively to Learn OmniFocus Members. Not a member yet? Join here. Check back soon for more examples. And let us know if you have suggestions for custom perspectives to include in this directory. 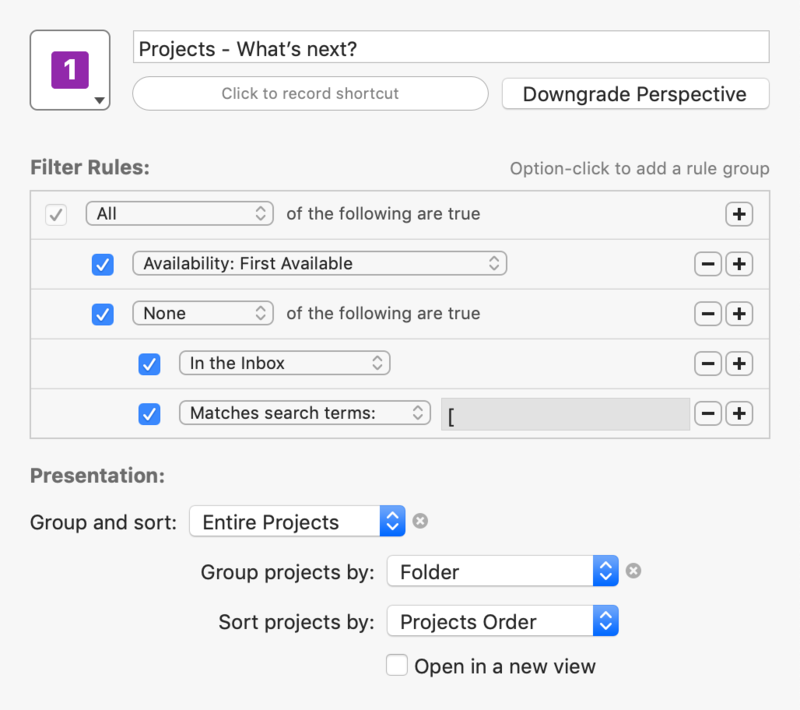 It’s important to review OmniFocus regularly to ensure that it’s an accurate reflection of your life and work, and to keep your commitment level in check. These perspectives give you a quick way of seeing what’s currently on your plate, as well as what’s on your radar. Projects – Active — All projects (defined outcomes) that you’re actively working towards. 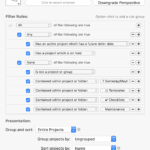 Single action lists, checklists, and template project are automatically excluded from the list. 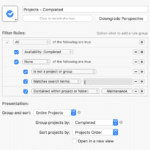 Projects – Completed – All completed projects (defined outcomes), grouped according to when they were completed. Projects – Due — All incomplete projects (defined outcomes) that have a due date associated with them. 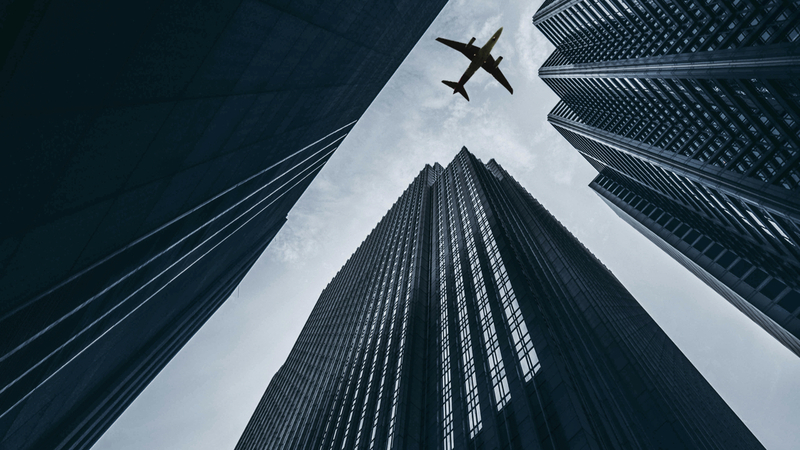 Projects – Inactive — All projects (defined outcomes) that are current inactive, either because they’ve been deferred to a future date or put on hold. 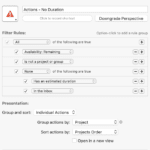 Single action lists, checklists and template project are automatically excluded from the list. 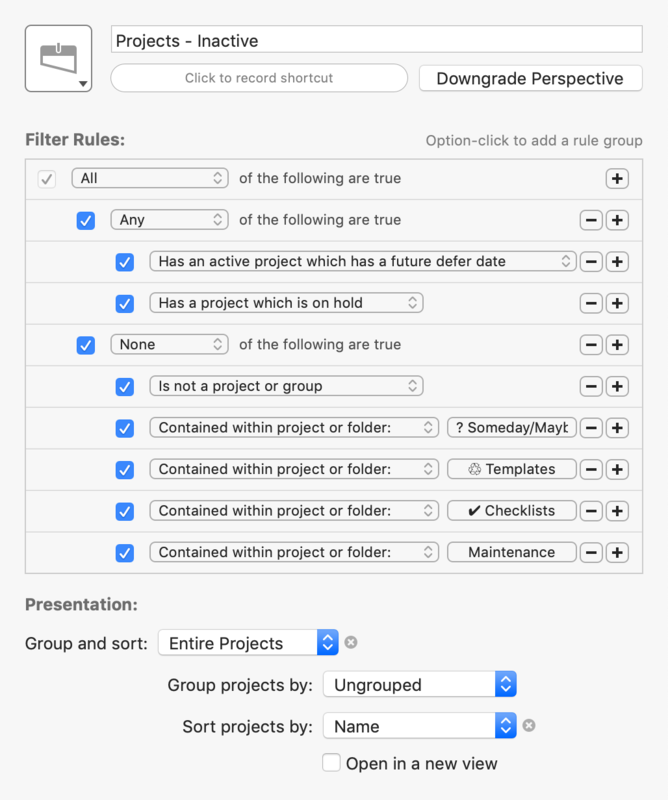 OmniFocus 3 perspectives can be very helpful for maintaining a system that is complete and consistent. 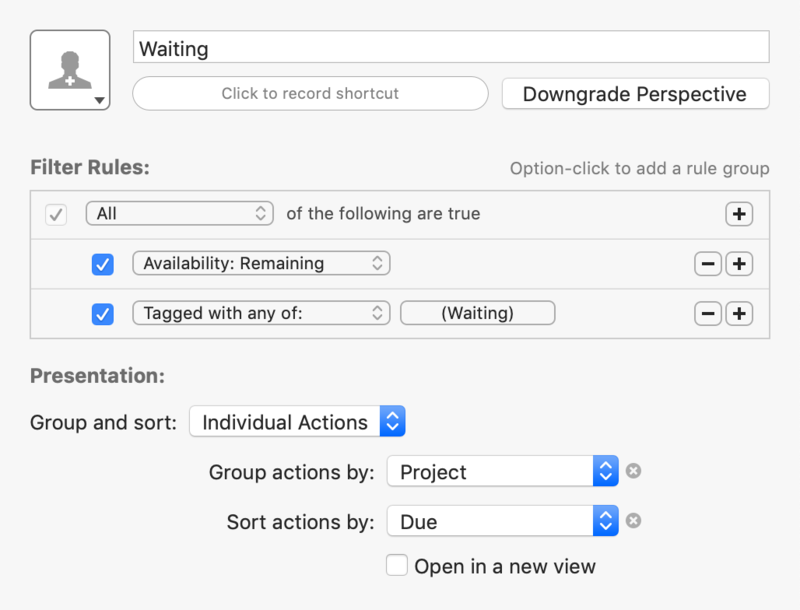 The following perspectives help ensure that OmniFocus will serve you well when it’s time to take action. Actions – No Duration — All remaining actions that don’t have an estimated duration. 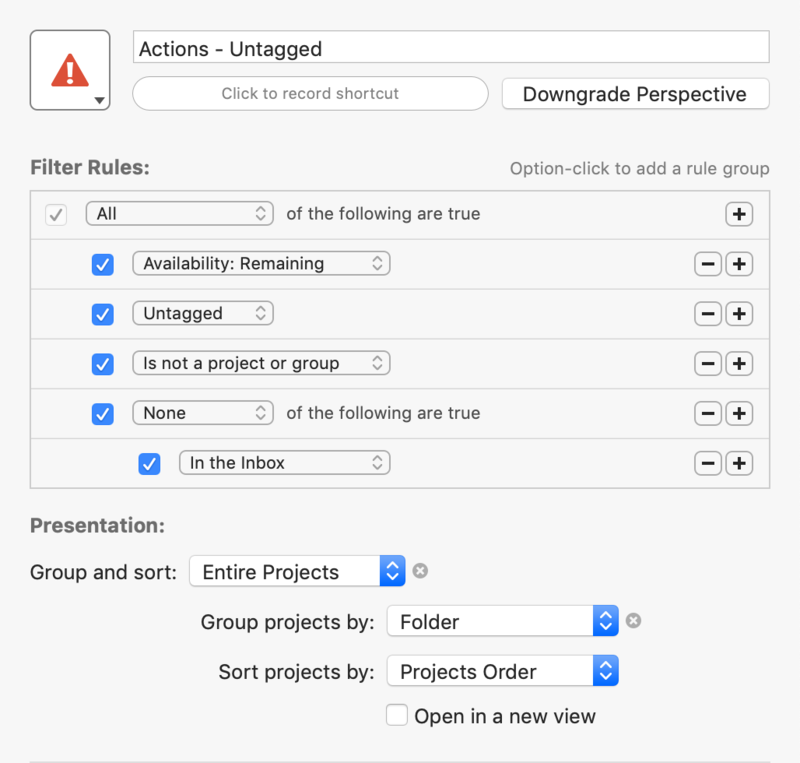 Actions – Untagged — All actions that are untagged, excluding unprocessed actions in the inbox. 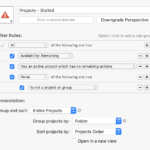 Projects – Stalled – All active projects (defined outcomes) that don’t have any remaining actions. 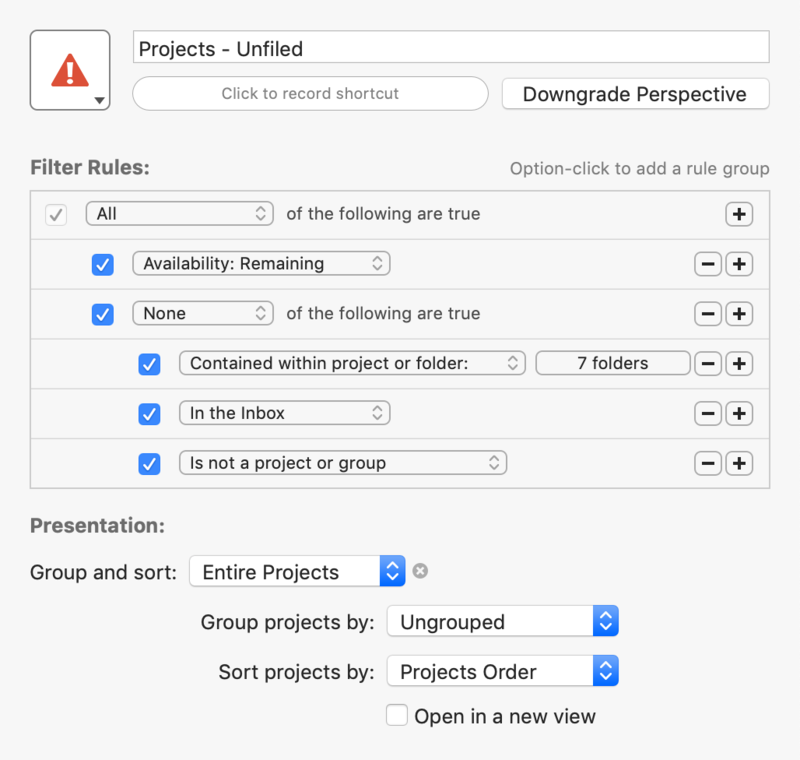 Projects – Unfiled — All projects (defined outcomes) that haven’t been filed into a folder. When it’s time to take action, it’s very helpful to be able to home in on the actions that are most relevant as quickly and conveniently as possible. 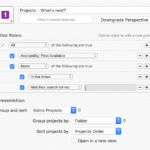 The following are some examples of how OmniFocus 3 perspectives can help. Projects – What’s next? 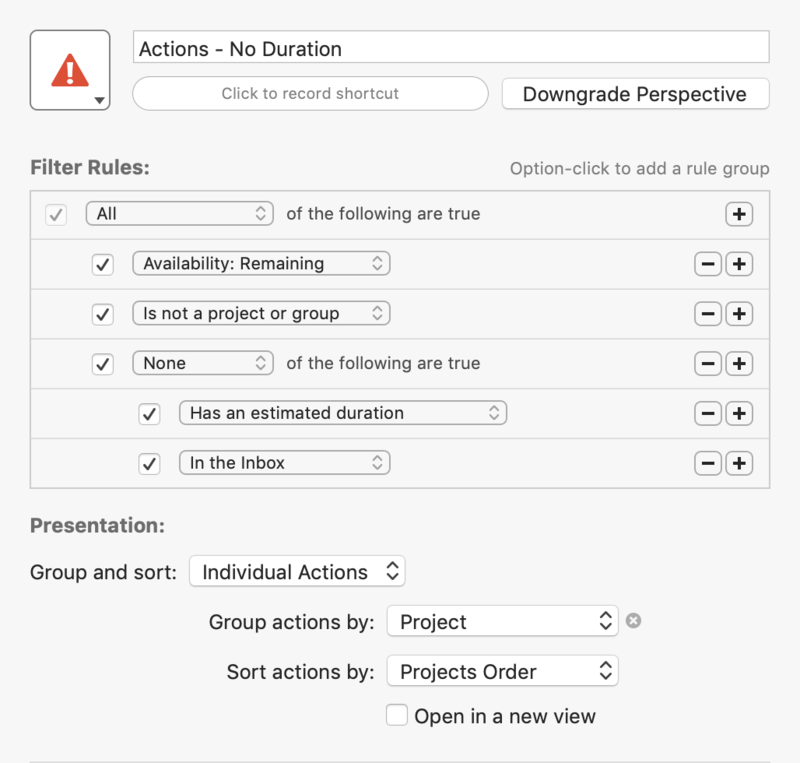 — The next available action for each of your active projects (defined outcomes). Waiting — Everything that you’re currently waiting for, grouped by tag. It can be helpful to give each of your actions an Estimated Duration. This adds a bit of extra work up front, but also gives you the opportunity to quickly pull up a list of short or long actions, whatever’s most relevant to your current circumstances. Additionally spending a few extra seconds to think about how long an action will take can help ensure that you don’t try to pack too much into the day. This perspective shows all remaining actions that don’t have an estimated duration. Items in the inbox are excluded from this list as they’re considered unprocessed. Tap on screenshot to see larger image. Adding at least one tag to each of your actions helps ensure that nothing slips through the cracks. For example, if you create an action of “Pick up Amazon order” and forget to give it a tag of “errand”, you may miss this action when you’re out running errands and end up having to make an extra trip. This perspective lists all remaining actions that are currently untagged. Items in the inbox are excluded from this list as they’re considered unprocessed. 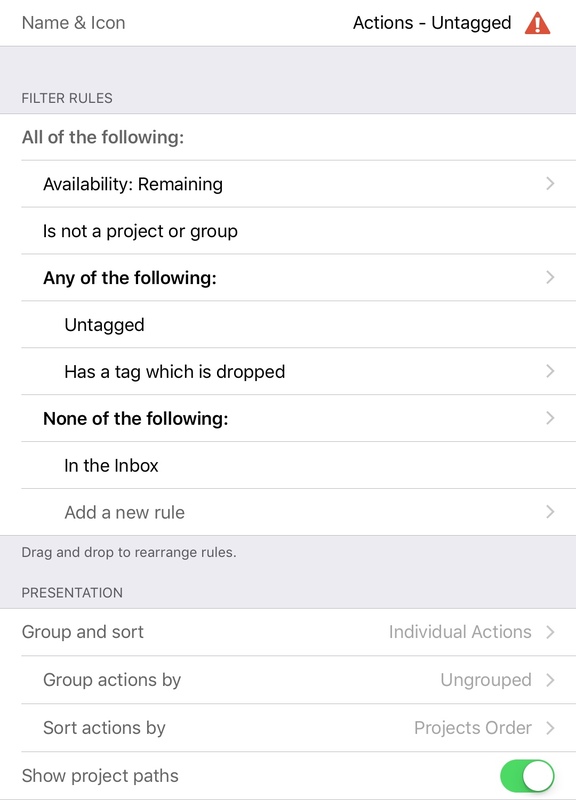 Visit our Tags for OmniFocus 3 page to learn more about the many ways that tags can be used to add ease and efficiency to your system. It’s useful to be able to quickly pull up a list of all projects (defined outcomes) that you’re currently working towards. If you’re considering taking on something new, refer to this list to make sure that you won’t become overcommitted by adding another project to your plate. This perspective assumes the names of single action lists include a “[” character. For example, if you wanted a list of one-off actions related to friends and family, you could add them to a single action list called “[Friends & Family]”. By excluding any “projects” that contain a “[” character, only projects that represent defined outcomes (e.g. “Submit Final Exam”) are included in the list. Projects are sorted in alphabetical order. Action groups are included, but not individual actions. It can be helpful to look back at all of the projects that you’ve brought to fruition. This provides clarity on where you’re spending your time and attention and can be useful when providing status updates to your employer. This perspective shows a list of all completed projects, grouped according to when they were completed. The most recently completed projects appear at the top of the list. This perspective excludes single action lists by assuming that the names of single action lists contain a “[” character. For example, a list of one-off actions related to friends and family would be called “[Friends & Family]”. When you’re reviewing your system, it can be helpful to look at what projects have a due date associated with them and to identify any that are past due. This perspective shows all remaining projects that have a due date. 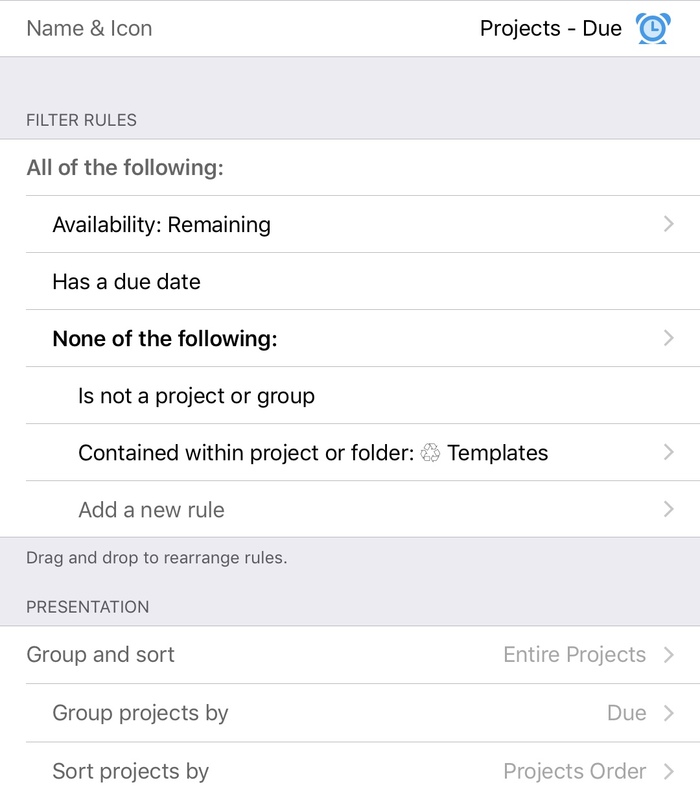 In this example setup, there’s a top-level folder called “♲ Templates” that contains template projects with due dates. These are excluded from the list. 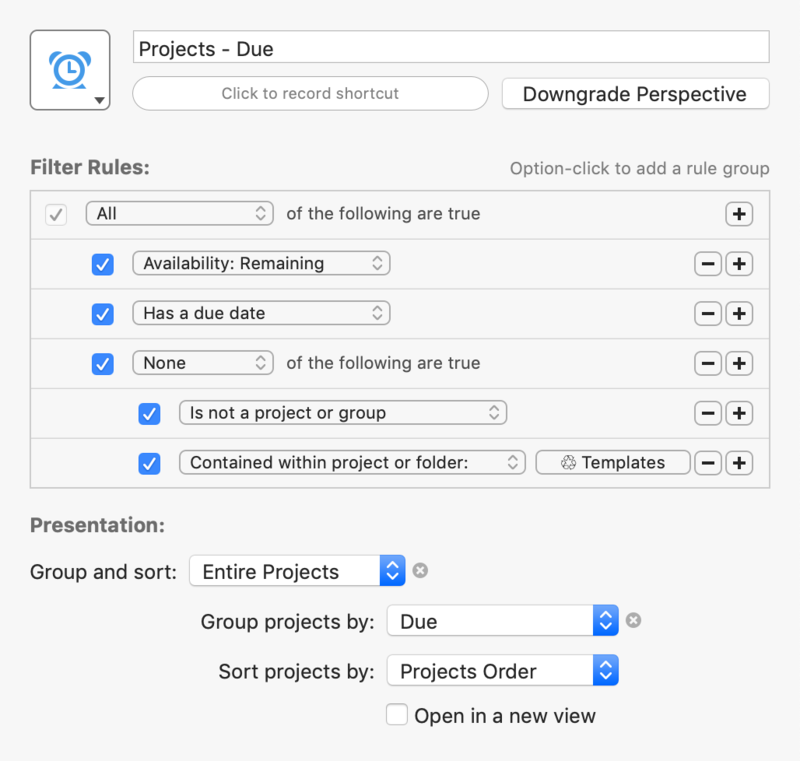 Projects are grouped based on when they’re due. Action groups are included, but not individual actions. 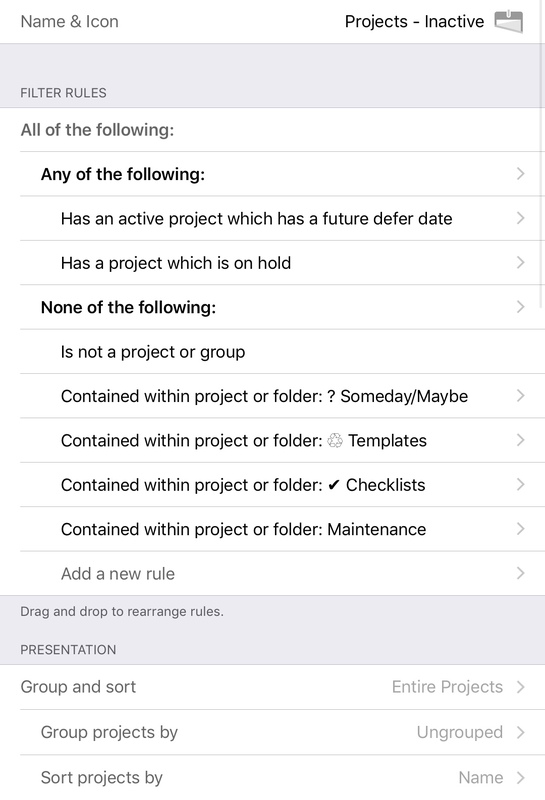 You may have some projects in OmniFocus that are deferred to the future, either because you can’t take action on them yet or because you won’t have the capacity to take on this work until a future date. Additionally, there may be projects that are on hold indefinitely. To help ensure that these inactive projects aren’t forgotten, this perspective shows all of the projects in your system that are either only hold or deferred to a future date. In this example setup, there are top-level folders that contain someday/maybe items, templates and checklists. 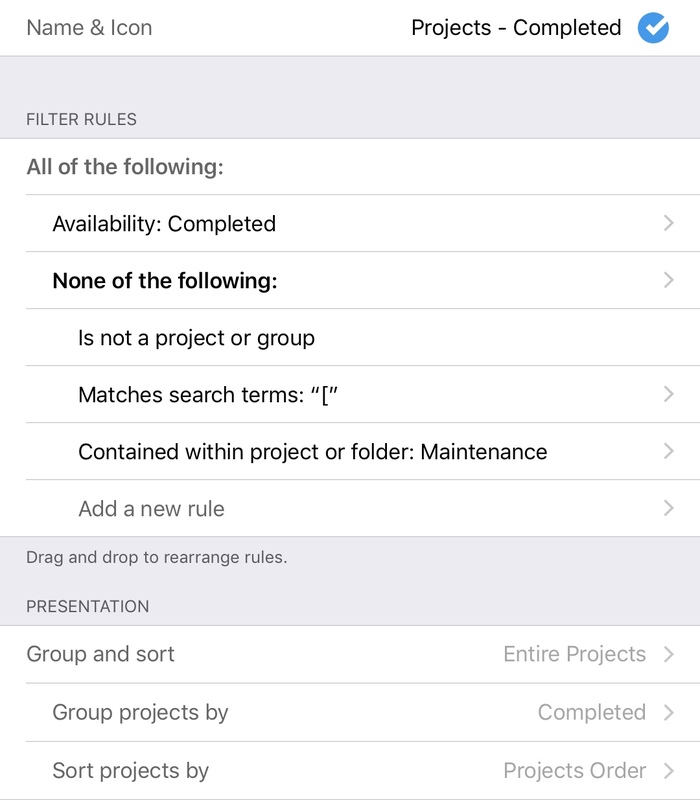 There’s also a maintenance folder that contains projects like “Perform Morning Review” and “Perform Weekly Review”. The projects in these folders are excluded from the project list. By definition, a stalled project is a sequential or parallel project that doesn’t have any remaining actions. It’s considered “stalled” because these projects represent a defined outcome, but there aren’t any actions to move it forward towards completion. 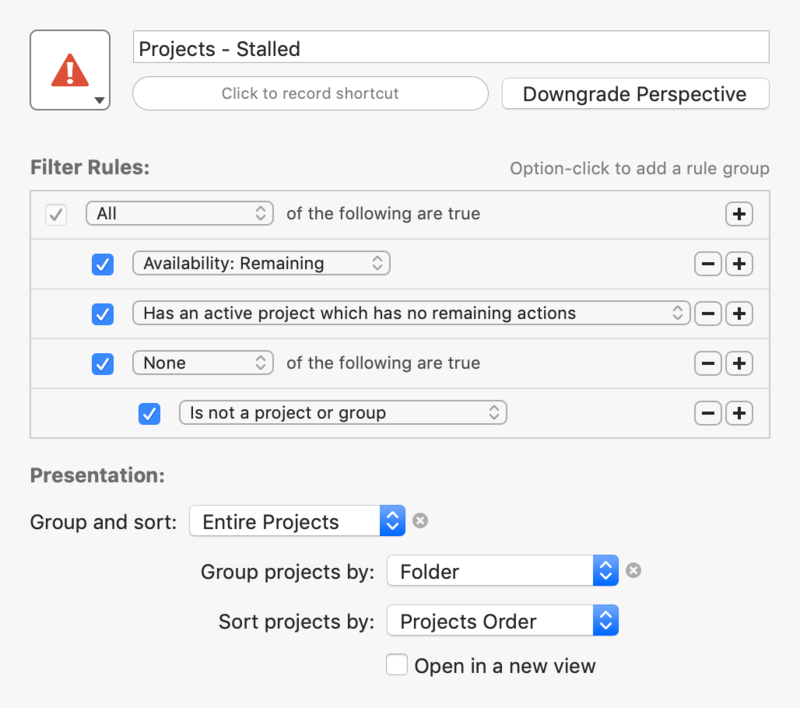 This perspective shows all of the stalled projects grouped by folder. If the project is complete (i.e. the objective has been reached), simply mark it complete. You might also choose to put the project on hold or drop it altogether. 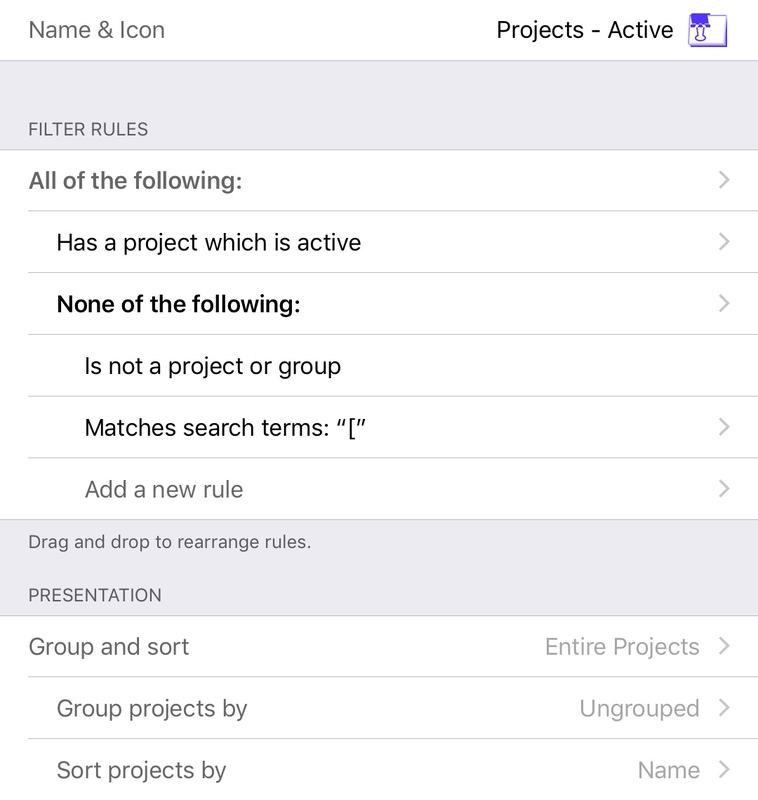 If there’s still work to be done, long press on the project, tap “Go to Project”, and add at least one action. Note that single action lists represent a list of related actions, typically in a specific area of life. They can be empty without being consider “stalled” as they don’t represent a defined outcome. Folders can be helpful for grouping projects and actions related to specific areas of life and work. For example, you might have a top-level folder called “Personal” that contains all of the projects and actions related to personal areas of life and another called “Work” for work-related activities. This perspective shows all of the projects and single action lists that are unfiled. In other words, it shows a list of all of the projects and single action lists that haven’t been placed in a folder. 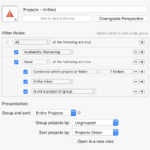 For this to work as expected, the “Contained within project or folder” rule will need to include a complete list of all of your top-level folders. The next action is the very next action to be taken to move a project towards completion. 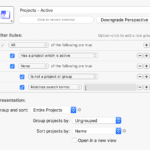 This perspective shows the next actions for each of your active projects. To filter out single action lists, it assumes the names of single action lists include a “[” character. For example, if you wanted a list of one-off actions related to friends and family, you would have a single action list called “[Friends & Family]”. By excluding any “projects” that contain a “[” character, only projects that represent defined outcomes (e.g. “Submit Final Exam”) are included in the list. 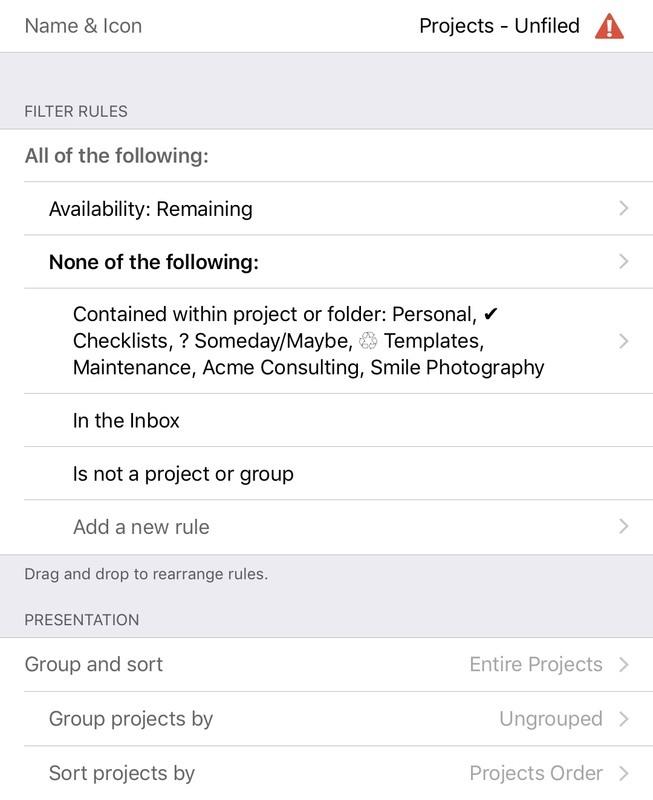 The projects are grouped by folder so that you can easily focus in on one area of your life and work. If you’d like to see all available next actions, tap and hold on one of the disclosure triangles and choose “Expand All”. 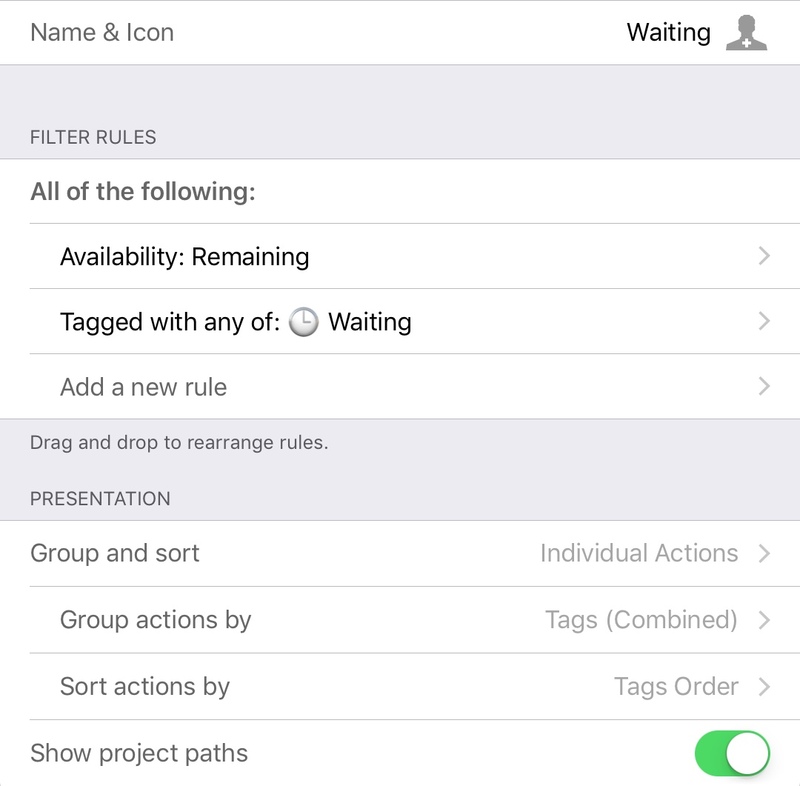 You can keep track of what you’re waiting for by creating actions and tagging them with a waiting tag. Setting this tag’s status to “On Hold” will prevent waiting items from cluttering up your lists of available actions. The downside is that it’s easy to forget to review what you’re waiting for. This perspective makes monitoring your waiting list quick and convenient. It shows all remaining actions that contain a tag of “🕒 Waiting” (the clock emoji was added for visual flair and is completely optional). The tags are combined, meaning that if you have, for example, an action tagged with both “Harry” and “🕒 Waiting” it will be grouped along with all other actions that have both of these tags. 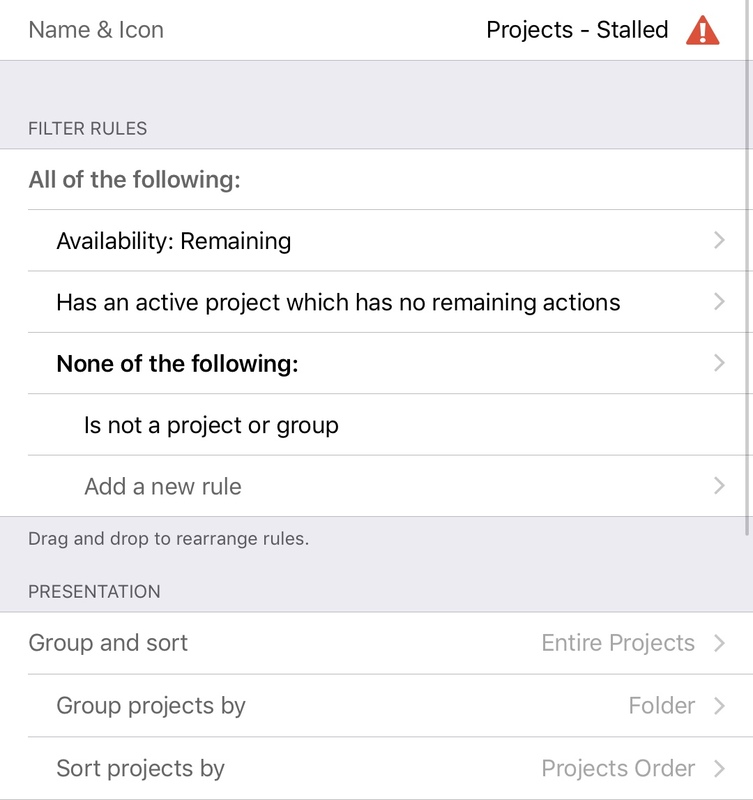 And project paths are shown so that you can easily identify the project or single action list associated with each waiting action.